The foundation was established in 1966 by engineer and entrepreneur William R. Hewlett and his wife, Flora Lamson Hewlett, with their eldest son, Walter Hewlett. Today, it is one of the largest philanthropic institutions in the United States, awarding over $400 million in grants in 2017 to organizations across the globe to help people build better lives. Our philanthropic approach, and our core areas of grantmaking, remain connected to the ethos and values of our founders. Established through the personal generosity of the Hewlett family, the foundation is wholly independent of the Hewlett Packard Company and the Hewlett Packard Company Foundation. We have long-standing programs that focus on education, environment, global development and population, performing arts, and effective philanthropy, as well as support for disadvantaged communities in the San Francisco Bay Area. In addition, we make grants for special projects and address other timely problems, such as challenges related to cybersecurity and U.S. democracy. Please visit the Hewlett Foundation for more information. TakingITGlobal is one of the world’s leading networks of young people learning about, engaging with, and working towards tackling global challenges. By bringing together Digital Youth Engagement, Global Education and Social Innovation programming, TIG seeks to empower youth and their allies to ensure every young person and their interest has a place to learn, grow and flourish. TIG collaborates with youth, educators, school boards, and other innovative organizations within Ontario and around the globe. TIG’s programs aim to inform, inspire, and involve youth in shaping a more inclusive, peaceful and sustainable world. TIG hosts the SNOW workshops through TakingITGlobal for Educators (TIGEd), the branch of TIG dedicated to supporting educators in utilizing technology to create transformative learning experiences for their students. TIG also partners with the Inclusive Design Research Centre to deliver the Sprout Ideas Camp and programming. Please visit the TakingITGlobal website for more information. 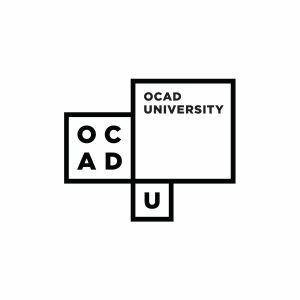 OCAD University is the “university of the imagination.” The university was founded in 1876, is dedicated to art and design education, practice and research and to the knowledge and invention across a wide range of disciplines. OCAD University is building on its traditional, studio-based strengths, adding new approaches to learning that champion cross-disciplinary practice, collaboration, and the integration of emerging technologies. In the Age of Imagination, OCAD University community members will be uniquely qualified to act as catalysts for the next advances in culture, technology and quality of life for all Canadians. Please visit the OCAD University website for more information. The Flexible Learning for Open Education (floe) project believes in a one-side-fits-one model of learning design, where each individual can personalize their experience to address barriers to learning. floe works on the frameworks, tools, and services needed to support inclusive access to open education resources (OERs), which are open licensed resources that offer teaching, learning, and research materials to use and share. One example, floe partners with the PhET project to help make their physics simulations more accessible to learners with diverse needs. Read more about this initiative in the SNOW Feature Articles on the PhET Simulations and the PhET Accessibility Project. The Nexus is a technology being developed at the IDRC that makes it easier to combine different platforms, software, and other technologies, with the goal of making these different components work together and “talk to each other” more effectively. Visit the floe News page about the Nexus to watch the YouTube video to see how the Nexus could be applied to a science lab to present information in multiple formats (e.g. numerical, visual, auditory). Outside-In was a project that created a diverse set of individualized youth training and mentorship programs to build skills around making digital media more accessible (e.g. making digital office documents such as Word and PDF accessible, adding closed captioning to videos, and reviewing websites for accessibility). The overarching goal was to support skill development for youth with invisible and/or episodic disabilities and to provide them the opportunity to bring their “outside” knowledge and experiences of accessibility “in” to the center, promoting system change. Read more in the SNOW Feature Article about Outside-In. Please visit the IDRC website to learn more about complementary projects and further initiatives in inclusive design.